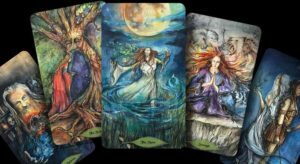 Do you have a passion & desire to use the different systems of divination? Deepening your understanding about Tarot, Oracle (cards), & Runes is easier than you think. Join Paige the 2nd Tuesday of every month to practice with each other and gain experience. We will be practicing different readings with each other while having fun and meeting others in our community who have likeminded interests. Please call 480-284-4705 to join our guest list.